Notice is hereby given that Martinson Concrete Construction Inc. the Contractor for the construction of the Town of Crested Butte 6th Street Sidewalks – 2007 Project, has completed the work specified in the Contract dated June 28, 2007 and the work has been accepted by the Town of Crested Butte. Notice is further given that final payment for the work will be made to the contractor by December 9, 2008, being at least 10 days after the last publication of this notice. Any person having a claim for labor or materials furnished under this Contract shall present the same in writing to the Town of Crested Butte at the following address, prior to the date specified below. December 1, 2008 ~ 4:00 P.M.
1) Presentation of Town Survey Results. A) Approval of Minutes of November 17, 2008 Regular Council Meeting. B) Resolution No. 12, Series 2008 – A Resolution Designating The Town Of Crested Butte’s Three Official Public Places For Posting Town Council Meetings And Other Important Items. A) Ordinance No. 25, Series 2008- An Ordinance Amending Article 5-2 Of The Town Code Providing For A Temporary Reduction To Certain Portions Of The Business And Occupation Licensing Tax For Fiscal And Calendar Year Of 2009; And Providing The Automatic Repeal Thereof Effective On The First Day Of January, 2010 (public hearing). A) Resolution No.13, Series 2008-A Resolution Authorizing The Town To Enter Into An Intergovernmental Agreement With The State Department Of Transportation, Division Of Transportation Development, For The Provision Of Public Transportation Services In The Crested Butte Nonurbanized Area. B) Request for Funds for Winter Solstice Celebration Special Event. C) Crested Butte Land Trust- Discussion of Plan to Subdivide Niccoli Parcel Into Two Lots. D) Staff Report Traffic Survey. E) Ordinance No. 26, Series 2008 – An Ordinance Amending The Town’s Zoning And Land Use Ordinance To Include Provisions To Prevent The Demolition By Neglect Of Historic Structures. F) Ordinance No. 27, Series 2008 – An Ordinance Amending Article 19-3, Streets and Sidewalks, Of The Town Code to Include Regulations Relative To The Hauling, Dumping and Storage of Snow. 8:35 Five Minute Break (if desired). A) Finalize Date of Council Meeting Retreat Regarding Proposed Foothills Annexation. B) Finalize Date of Full-Day Council Retreat in January 2009. C) Second Intergovernmental Agreement with the RE1J School District. ● Monday December 1, 2008 – 8 a.m. Coffee with the Council at Izzy’s. ● Monday December 1, 2008 – 6 p.m. Work Session & 7 p.m. Regular Council Meeting. ● Monday December 15, 2008 – 8 a.m. Coffee with the Council at Izzy’s. ● Monday December 15, 2008 – 6 p.m. Work Session & 7 p.m. Regular Council Meeting. ● Monday January 5, 2009 – 8 a.m. Coffee with the Council at Izzy’s. ● Monday January 5, 2009 – 6 p.m. Work Session & 7 p.m. Regular Council Meeting. DECEMBER 2, 2008 ~ 6:00 P.M.
6:05 P.M. – Public Hearing – Ordinance No. 6, Series 2008 – An Ordinance of the Town Council of the Town of Mt. Crested Butte, Colorado Summarizing Expenditures and Revenues for Each Fund and Adopting a Budget for the Town of Mt. Crested Butte, Colorado, for the Calendar Year beginning on the First Day of January, 2009 and ending on the Last Day of December, 2009. Discussion and Possible Consideration – Resolution No. 10, Series 2008 – A resolution of the Town Council of the Town of Mt. 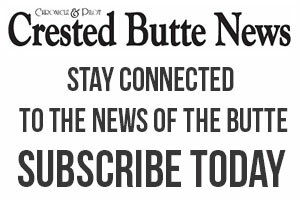 Crested Butte, Amending Established fees being charged by the Mt. Crested Butte Police Department for Records Received by it pursuant to the Colorado Open Records Act.